Control4D is a plugin for Cinema 4D that allows c4d to read the input from joysticks, gamepads, and MIDI devices in real time. Allowing you to control virtually any parameter in c4d! 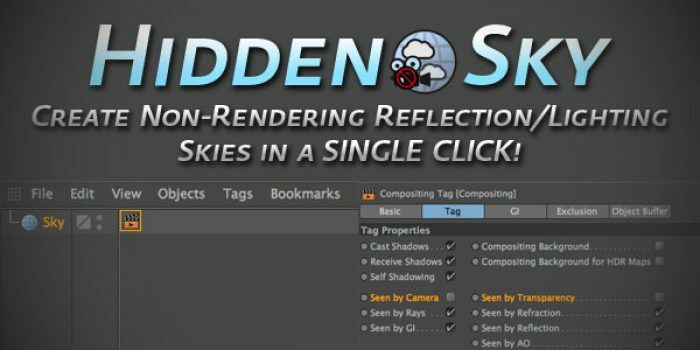 How many times have you added a sky primitive to your scene, added a compositing tag to it, and unchecked ‘seen by camera’ and ‘seen by transparency’? Yeah, me too. 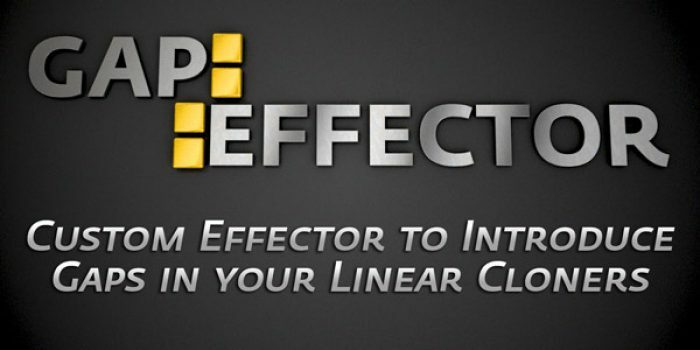 Gap Effector is a custom python effector that allows you to set position gaps between intervals of clones in linear cloners, effectively creating groups of clones with a gap in between.